A NY Frame of Mind: Rita Vinieris Rivini Spring 2016 — Geoff Howell Studio Inc. 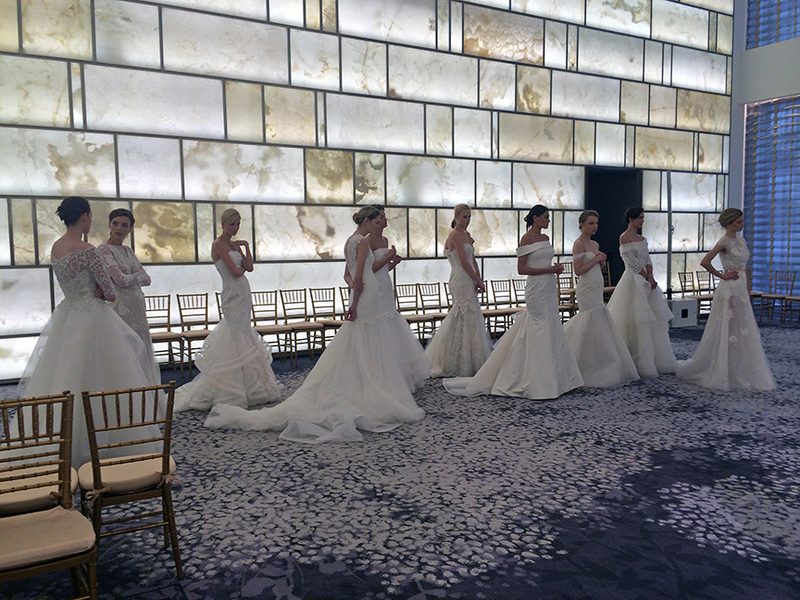 Here' a look at a 25 foot high ode to romance that Geoff designed and we built for the Spring 2016 Rita Vinieris "Rivini" bridal fashion show in the famed Onyx room at the Park Hyatt Hotel in Manhattan. 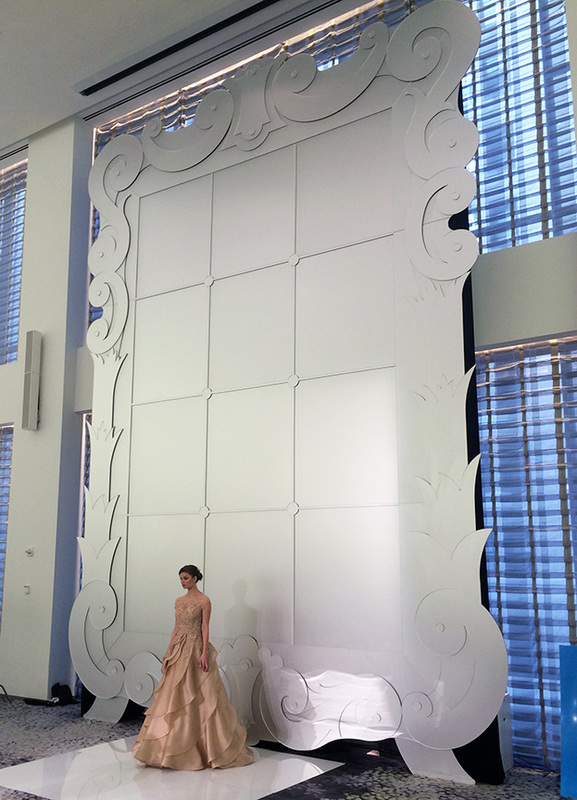 It was a large rococco framed frosted plexi "mirror" sculpture with a modern twist, underlines the feeling of the lace in the bridal gowns. The sculpture created a soft glowing background for the show. Because of it's monumental size, it was constructed in pieces and seemlessly assembled on site. 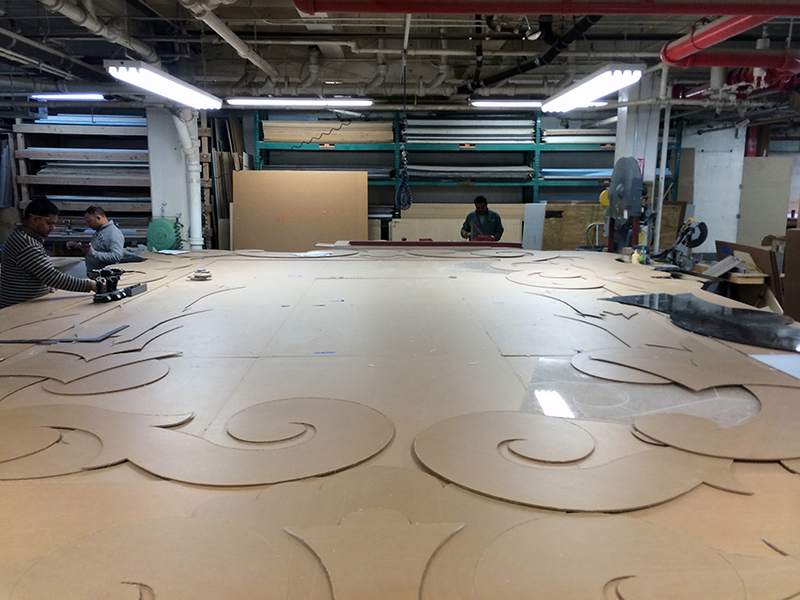 In one photo, you'll see some of the crew who helped assemble the frame including Geoff and John Wood (the assistant creative director) as well as a lineup of the beautiful bridal models in front of the backlit onyx wall and a shot of the giant frame in production at our studio. Many thanks to Lou Iacovelli of Atelier Creative and Rita Vinieris for the opportunity to create something beautiful for this presentation. If you're curious to take a closer look at the gorgeous gowns themselves, head over to Women's Wear Daily post to see them in detail.